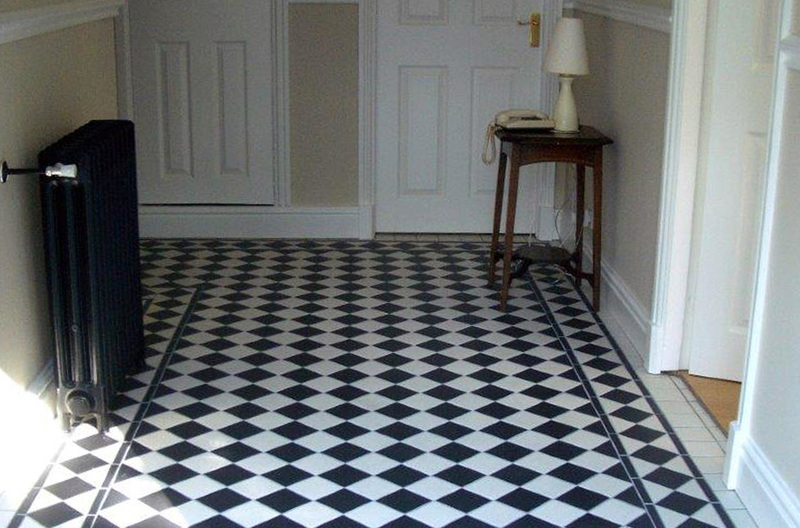 Our Black and White Floor tiles are an extremely popular product line within in our Victorian Hallway Tiles range. 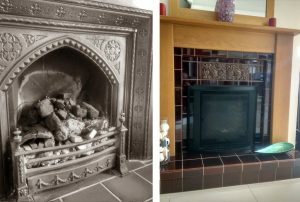 From our chequered floor and diagonal checkered designs to our iconic octagon floor tile, you can be sure to find something that will suit your home. For those keeping up to date with trends in the interior design world, it has probably not escaped your attention that there has been a strong resurgence in minimalist and monochrome colour schemes. Always a classic choice, these interiors can be entirely monochrome, or accented with feature colours in key areas for contrast. 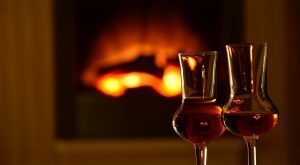 This design principle has long been known to the curators of art galleries and exhibitions – here, the structural elements of the interior are kept as minimal and uncluttered as possible in order to throw attention on the key objects of interest. In the same way, by pairing back on the colour, key features of the decor and view can then be highlighted. Back and white tiles can add real flair to any setting, though they are particularly popular for hallways and entrance areas. 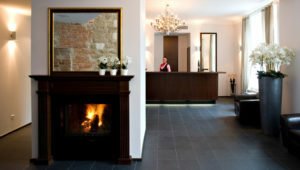 The FireTile collection of black and white floor tiles are great for all domestic and many commercial purposes. 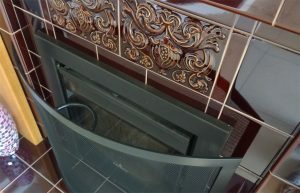 These practical tiles are also a perfect choice for use in bathrooms, kitchens and wet rooms and kitchens. 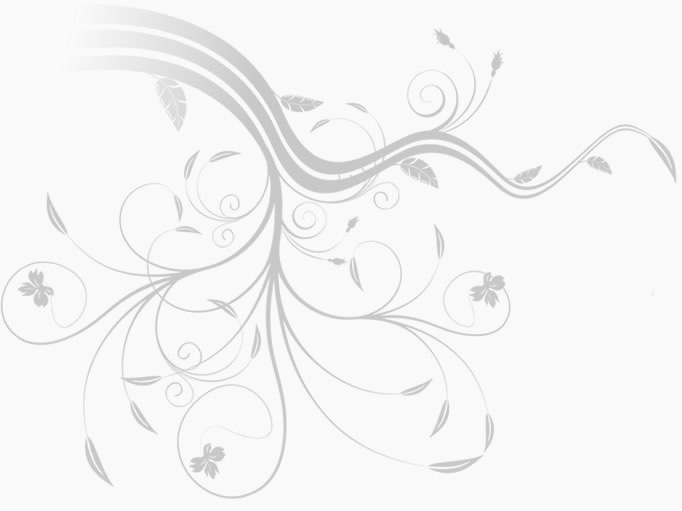 For this reason, black and white floor tiles are becoming extremely popular in contemporary interior design schemes. 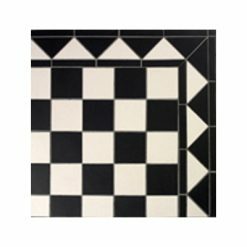 One of the most popular uses of these floor tiles is to create a classic chequerboard look with alternating black and white floor tiles arranged with in a border. 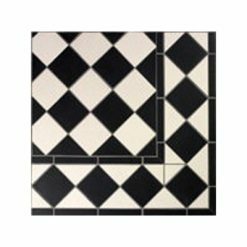 In its simplest form these tiles are set at right angles to the border and form a clean, minimal layout reminiscent of the grand entrance halls popular in the Victorian era. 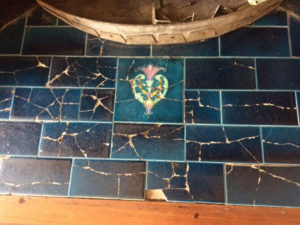 Choosing these tiles will help lend some Nineteenth Century charm to your property! 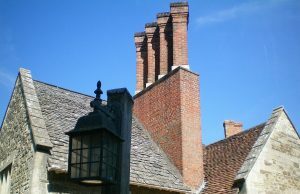 An alternative to the Victorian Checkerboard look, but based on the same principle is the diagonal chequerboard design. Here the tiles in the main body of the floor are set at a 45° angle. 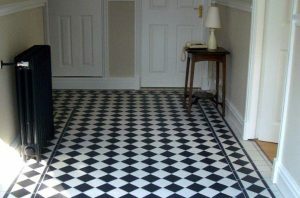 These diagonal designs can look fantastic when used in hallways and are a very popular configuration for Victorian hallway tiles. 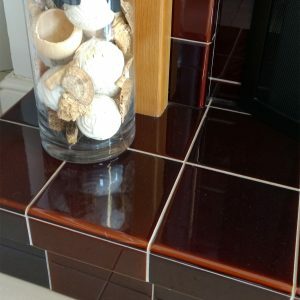 Octagon tiles are an interesting variation on the use of square tiles. 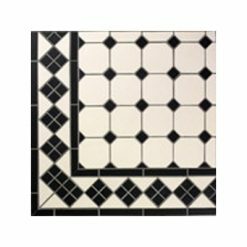 Our octagon tiles incorporate a larger white tile with a smaller square tile offset to the diagonal to complete the shape. As this floor has a greater proportion of white than black it throws back more light than the standard Monochrome chequerboard designs.